An amethyst is a variety of the quartz. It is the traditional birthstone of February. 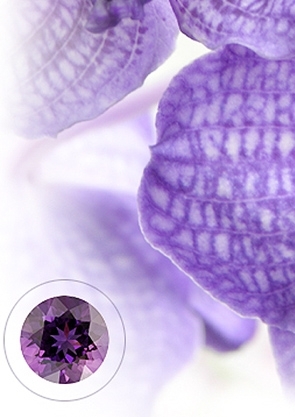 Designers celebrate amethysts for their regal color, variety of sizes and shapes, affordability, and wide tonal range from light to dark purple.